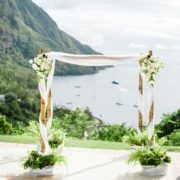 These original and affordable wedding centerpieces are gorgeous and can fit different wedding decors. We even bring you a few tutorials so you can make them all by yourself! Take a look at this fun boho wedding centerpiece filled with gorgeous rustic details. 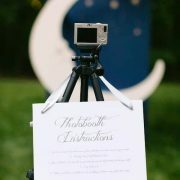 Photography by Marissa Kay Photography. As the first thing a guest notices at a reception, wedding centerpieces must be truly memorable. 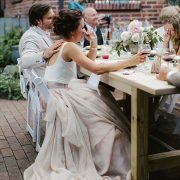 Here you will find affordable wedding centerpieces that can fit a boho, rustic, vintage, industrial and garden or beach weddings and even at an indoor venue. You can adapt these ideas to your wedding by simply adding a touch of your own style. For example, for a table where gold is king, a centerpiece with a very colorful flower bouquet mixed with candles will look stunning. If you decide later to tone it down and change the color of the plates to a more subdued one, your centerpieces will look just as beautiful. Beach weddings are always romantic. The ocean views, the sound of the rolling waves and the smell of the salty sea breeze make for a unique experience. 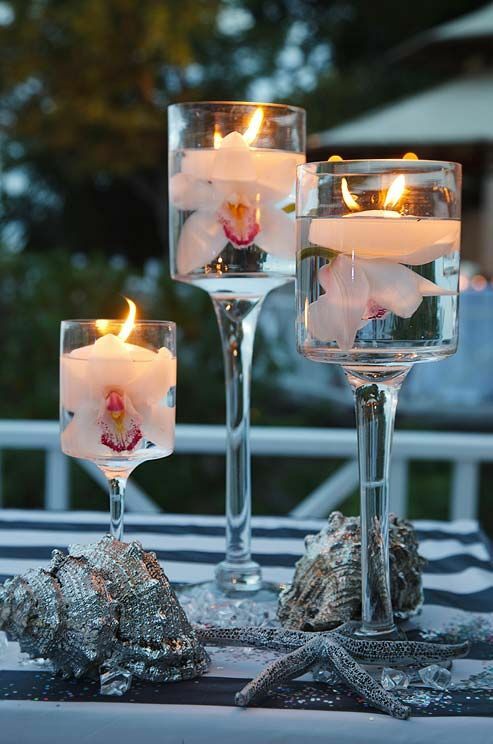 Beach wedding centerpieces must complement this style, without breaking your budget, of course. Candles are a terrific option for affordable wedding centerpieces. They can be used in a simple yet effective manner and within a tight budget. Beach weddings are especially romantic when candles take over the wedding decor. This image gives you an idea of what an abundance of cristal and candles looks like. Beach themed affordable wedding centerpieces made with oversized white roses. 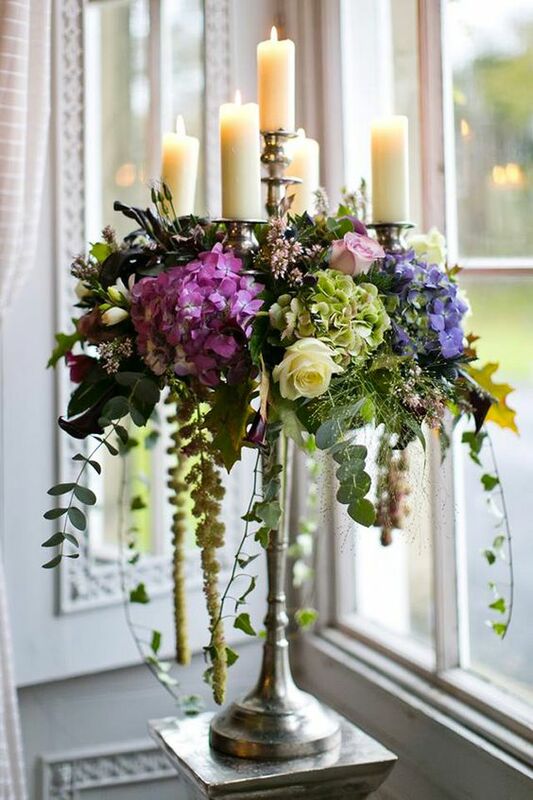 Combine flowers, candles, tall vases and water for a very delicate look. These simple wedding centerpieces will only embellish your tastefully decorated tables. Check out these elegant tinted bottles and mason jars as candle holders which protect against the wind to ensure they remain alight throughout the wedding ceremony. 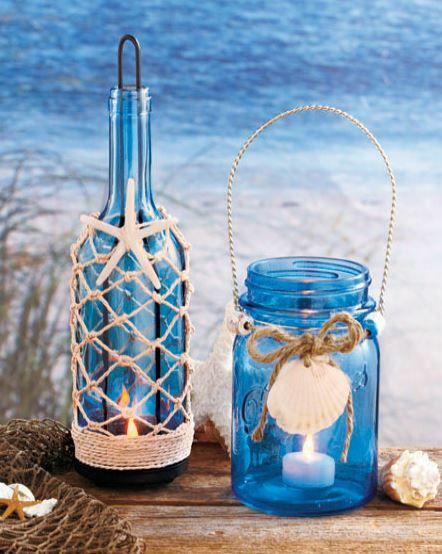 Beach seaside blue glass mason jar bottle candle holder with nautical decor. 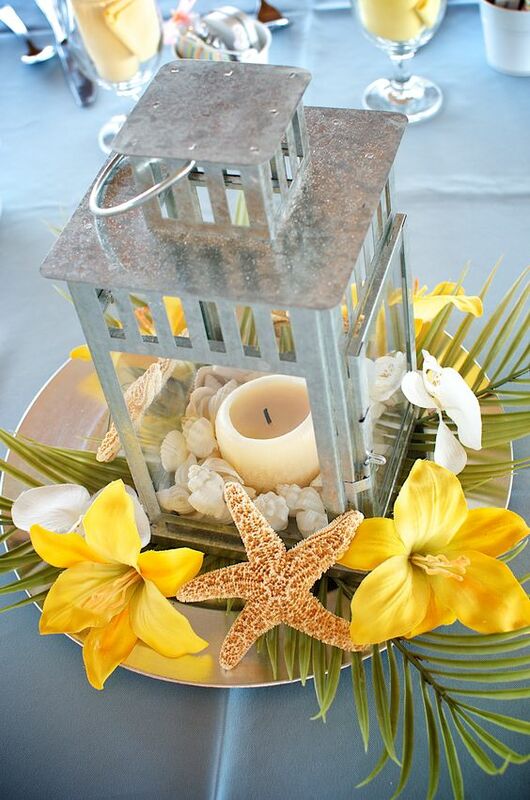 A wedding centerpiece ideal for the beach and summer breeze. Lemon yellow beach wedding centerpiece. How to make floral wedding centerpieces with flowers and glass vases: This combination of glass vases and orchid flowers is a beautiful yet simple option for floral wedding centerpieces and is actually really easy to make. 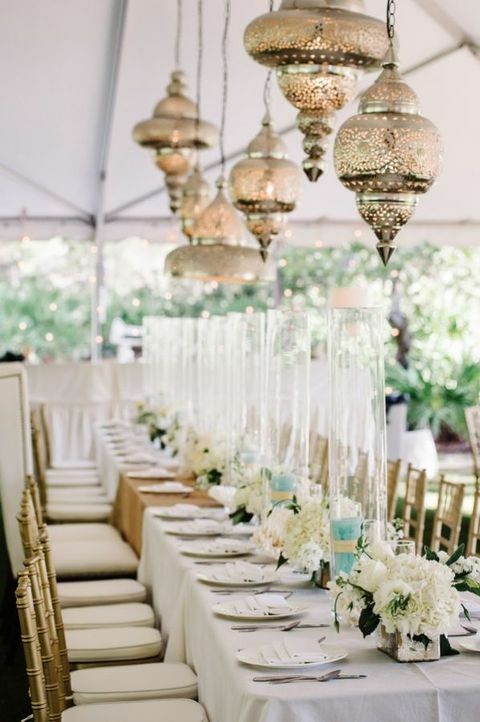 What could be better than the ultimate boho chic beach wedding centerpiece? Bold colors and exotics for this table decor. Today is the last day you ask yourself how to make wedding centerpieces that look terrific, are affordable and easy to put together. 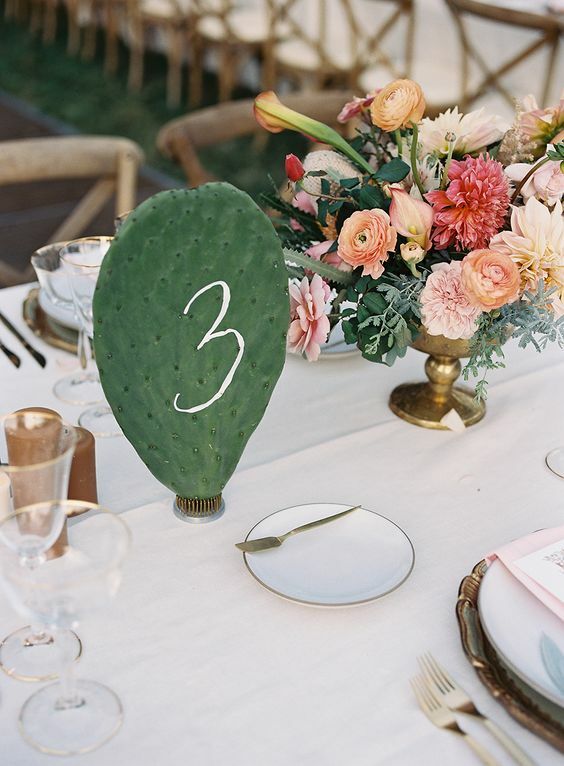 These flower-filled ideas will have you lusting after some amazing boho chic centerpieces. Check out this image of how you can make affordable wedding centerpieces by simply using roses, ranunculus, green filler flowers, olive branches, and a mason jar. These affordable wedding centerpieces are perfect for a shabby chic garden wedding. Leverage the simplicity of seasonal flowers or just pick your very own from the surrounding country side. 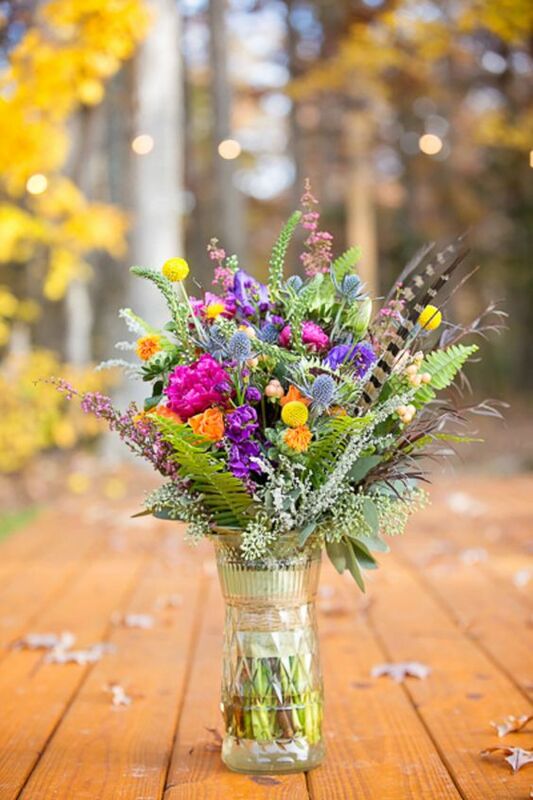 Colorful vintage boho chic wedding arrangement. 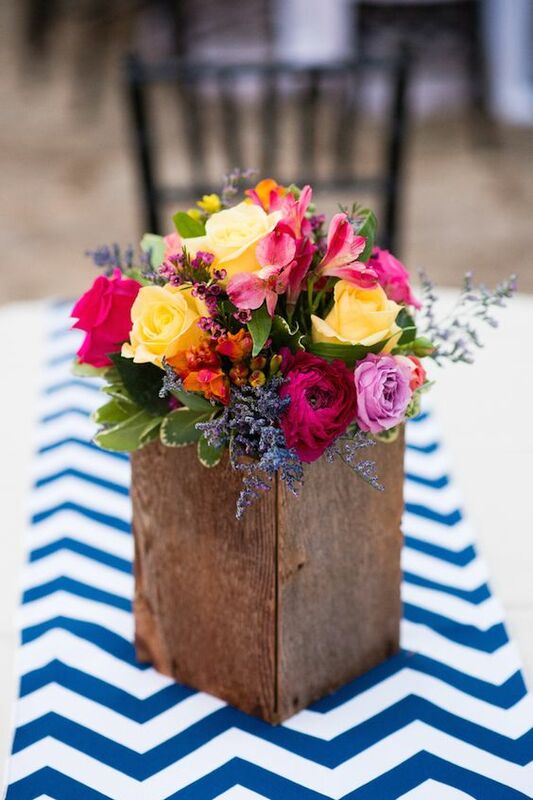 Beautiful and simple centerpiece from a Texas wedding. 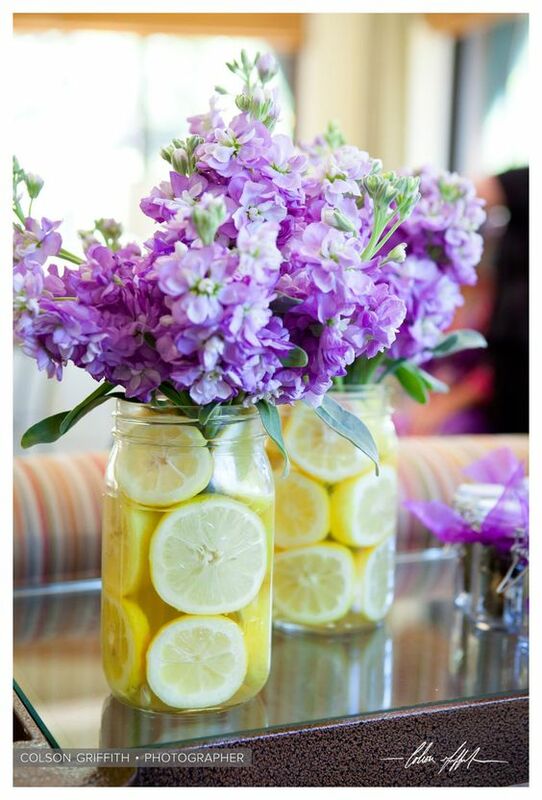 How to make affordable wedding centerpieces: Simply place your favorite flowers in a glass vases or in mason jars. Simply spectacular! Afloral brings us this easy DIY for simple wedding centerpieces. 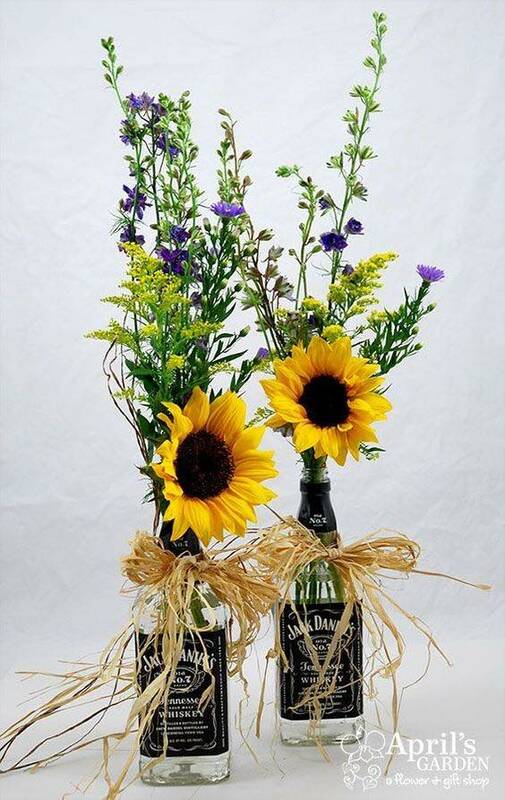 Take a look at this image of wedding centerpieces for garden weddings with a bohemian chic style using plenty of sunflowers and recycled whisky bottles. Unique and affordable wedding centerpiece ideas. 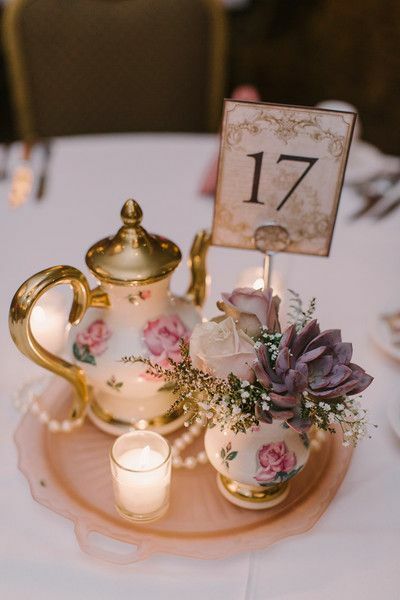 Have a look at these vintage-inspired and affordable wedding centerpieces. 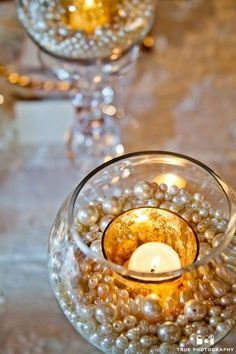 This image gives you an idea of how to make simple wedding centerpieces using a glass bowl that you might have lying around the house (or can borrow from a friend), candles and a pearls. 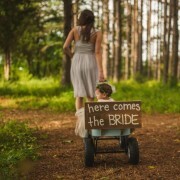 Vintage-inspired details are definitely great for brides who want their weddings full of nostalgia. Inexpensive wedding centerpieces don’t have to look dull or cheap. With good taste, dedication, and attention to detail you can create the perfect ornament for your wedding tables. Here is a great idea to make an economic table arrangement. Place some roses and filler flowers in pot, add some white doilies and a wine bottle by its side and voilá! Vintage chic and really affordable. 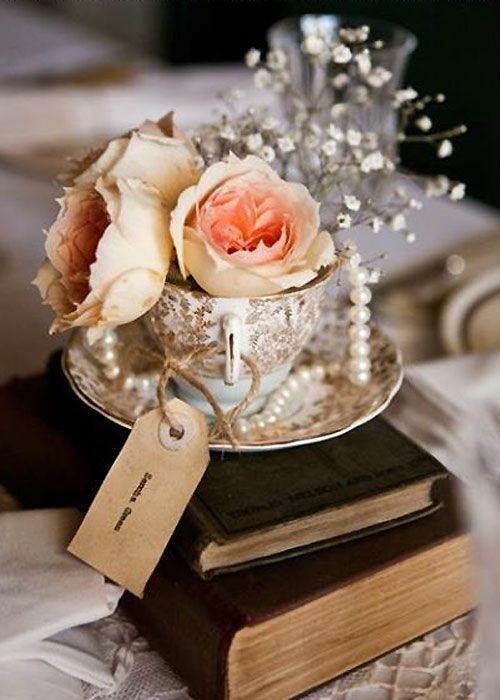 A vintage tea cup with gorgeous roses, a strand of pearls and a touch of gypsophila is a great, simple idea for your wedding centerpiece. Find a tea cup and saucer. Place the roses in the center. Decorate it with filler flowers and a strand of pearls on one side. Follow this simple tutorial to make the best vintage wedding decorations for your reception tables! This color combo will definitely impress you. Vintage-inspired and very affordable centerpieces that look like a million bucks. A combination of good taste and soft pastel colors with a gold base for a romantic and elegant vintage look. Vintage inspired simple wedding centerpieces at a Wisconsin Hotel reception. Modern and Affordable Wedding Centerpieces: Show off the Vases! Simple wedding centerpieces can begin with a beautiful vase crowned with a good flower combination. Filler flowers, like the Gypsophila, grant a delicate look to these white vases. 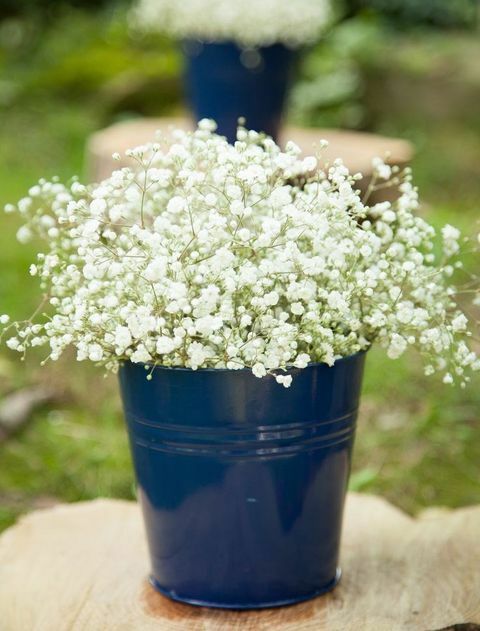 A great idea for simple and tasteful wedding centerpieces: white bottles with baby’s breath! Extremely elegant and affordable navy and white table arrangements. 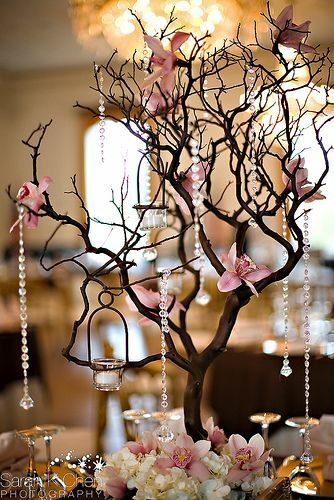 If you were wondering how to make simple, elegant and tall wedding centerpieces, this idea is for you. 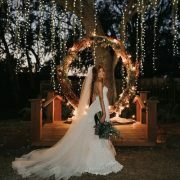 You will need some long branches, pearls strands, hanging votives, and pink flowers. It’s easy to do and very simple yet the combination of color and texture provides a stunningly modern look. Get inspired by this centerpiece from a Richard Nixon library wedding. 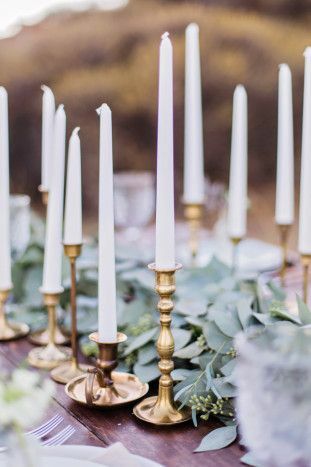 Candles are a good option for sublime yet inexpensive wedding centerpieces while at the same time, really easy and simple to do. Create a dreamy effect using lots of candles inside of lanterns, or floating candles on water. 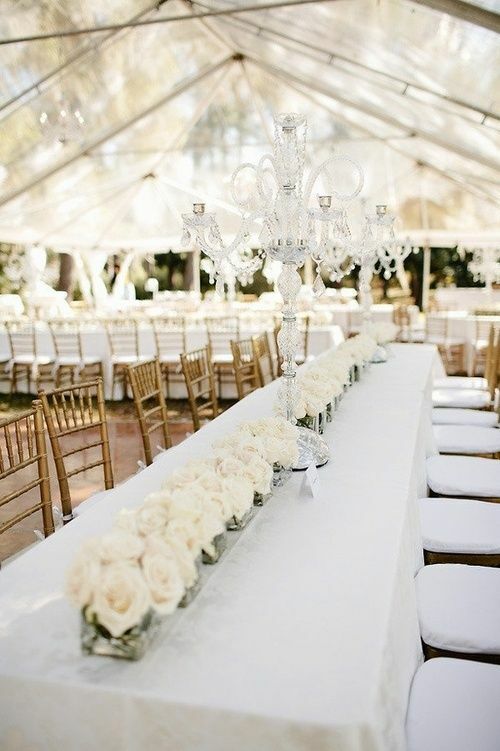 Just check out this stunning centerpiece with glass and candles galore. 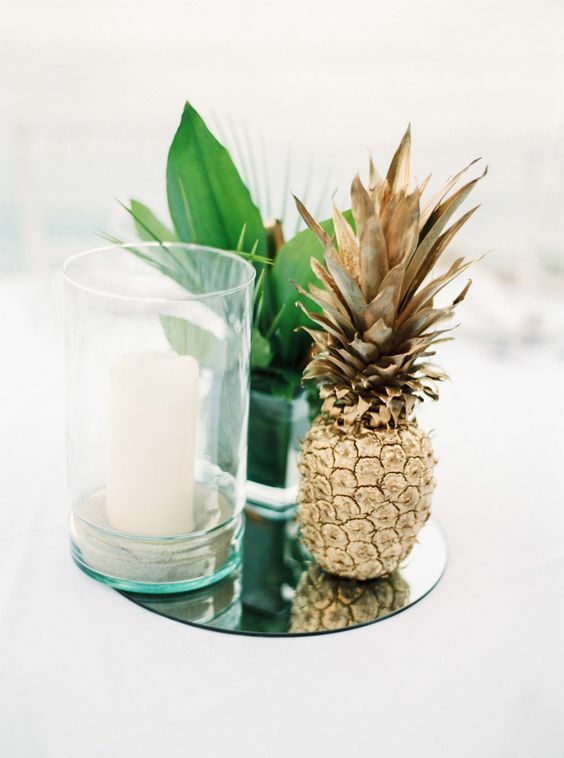 Stunning and inexpensive beach wedding centerpieces that don’t look cheap. Inexpensive yet, not cheap wedding centerpieces have the peculiarity that they can complement any wedding style. 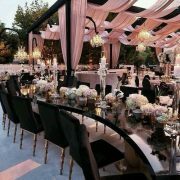 You just need to find a lot of inspiration, a little bit of time to make them and get ready to surprise your guests. 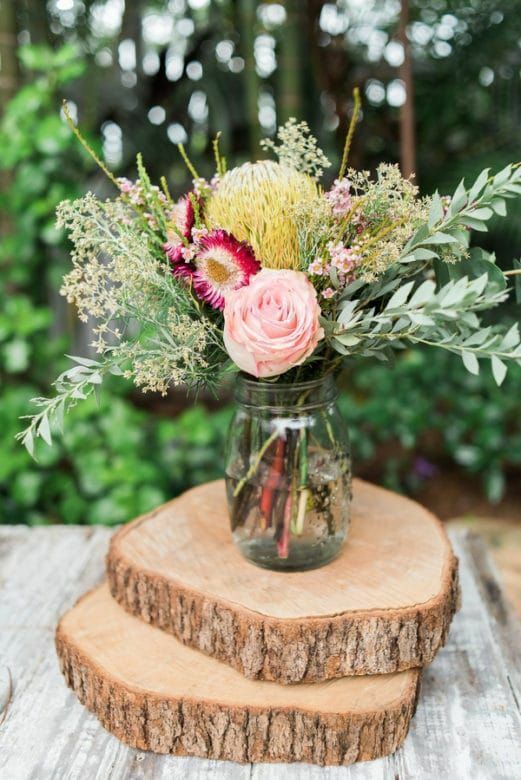 These rustic wedding centerpieces can be made with materials that are quite easy to find. These rustic wedding centerpieces help the theme flow right from the ceremony to the reception. 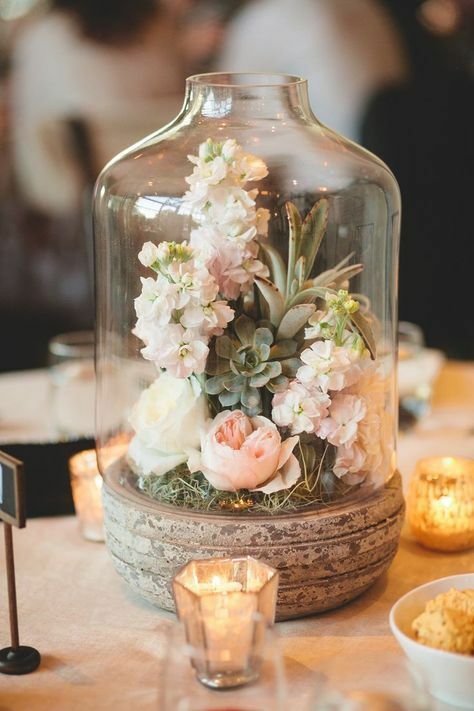 Unique rustic terrarium wedding centerpieces. This wedding table arrangement is very versatile as you can switch the base for another one with different materials or color and completely change its style. The tightly bunched white flowers create a strong visual impact. Consider using flowers like Queen Anne’s lace or hydrangeas that are easy on your wallet. Chic and elegant all white wedding. This photo of a table centerpiece made with votive candles and small artificial rocks is a great idea for creating beautiful wedding table decor without investing a lot of time and effort. Beach wedding decor. 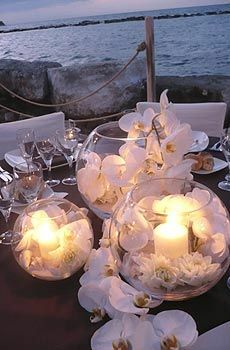 White orchids in bubble balls with lit up candles. Ultra original and simple wedding centerpieces. 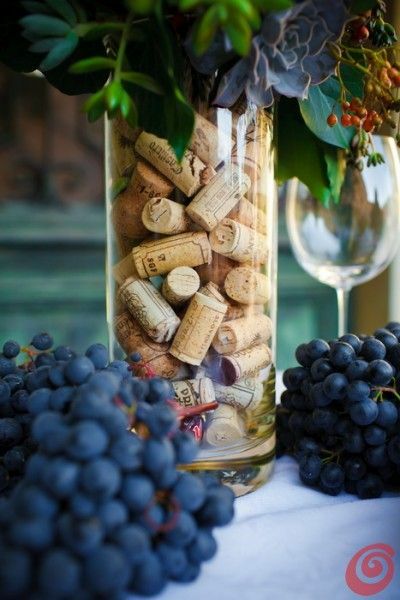 Corks in vase. No matter what your wedding theme, modern, industrial, country, or beach themed , you can make your own affordable and simple wedding centerpieces that look anything but cheap. Just follow these step by step instructions to make your centerpiece arrangements quickly and at a very low-cost. Find a suitable base to place in the center of your table. It should be made from a material that best suits your style of wedding; anything from wood to glass. 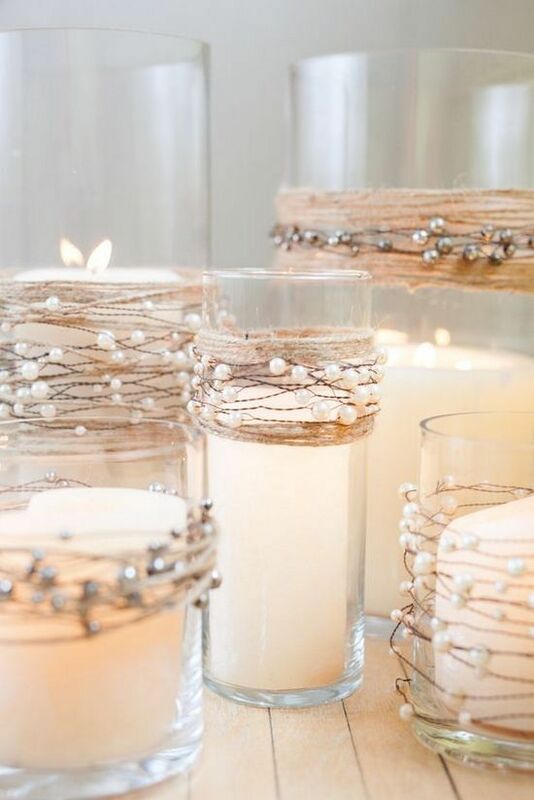 In this example, let’s use some tall silver candle holders. Next put a Styrofoam sphere on top of the chosen base. The image shown in this DIY is made from artificial flowers which should be cut at the stem. Stick the flowers together with white glue very tightly so that they remain in place. 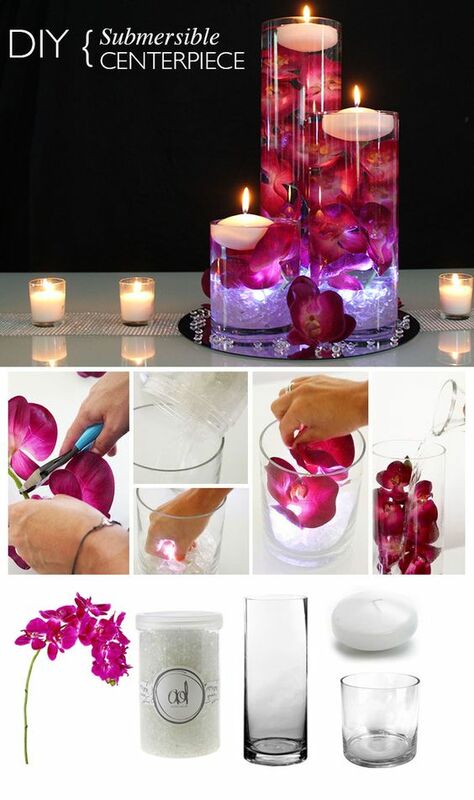 You can also use real flowers when assembling this wedding centerpiece. If you wish, cut the stems close to the bulb and attach the bulb with a florist wire so that it better grips the Styrofoam sphere. DIY hydrangea centerpiece ideas for your wedding reception. 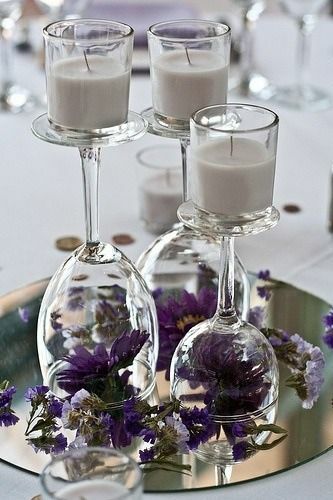 An awesome idea for DIY table centerpieces is to turn different size wine glasses. Remember that if you decide to make your own affordable wedding centerpieces, you should consider that some flowers keep fresh longer than others, so plan your purchases carefully. Let us know which one is your favorite!! 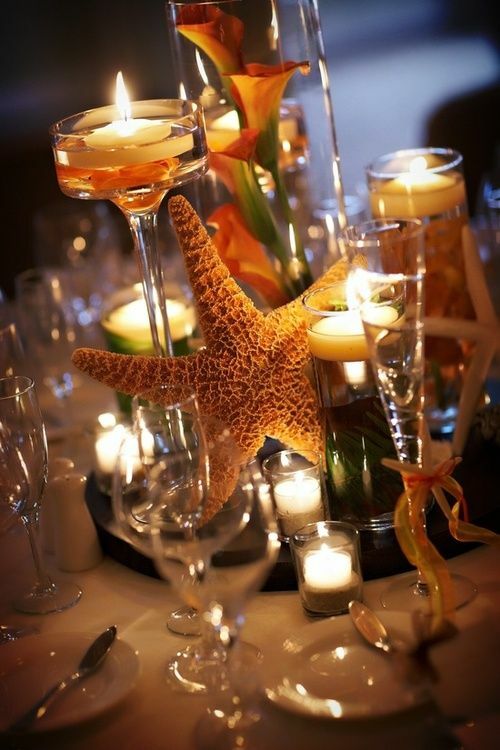 https://bodasyweddings.com/wp-content/uploads/2016/08/Beach-wedding-centerpiece.jpg 851 564 Bodas y Weddings - Patricia https://bodasyweddings.com/wp-content/uploads/2019/01/bodasyweddings-logo-byw.png Bodas y Weddings - Patricia2016-08-29 21:29:412018-08-24 12:21:25Original and Affordable Wedding Centerpieces: Who Said Inexpensive Had to Look Cheap? 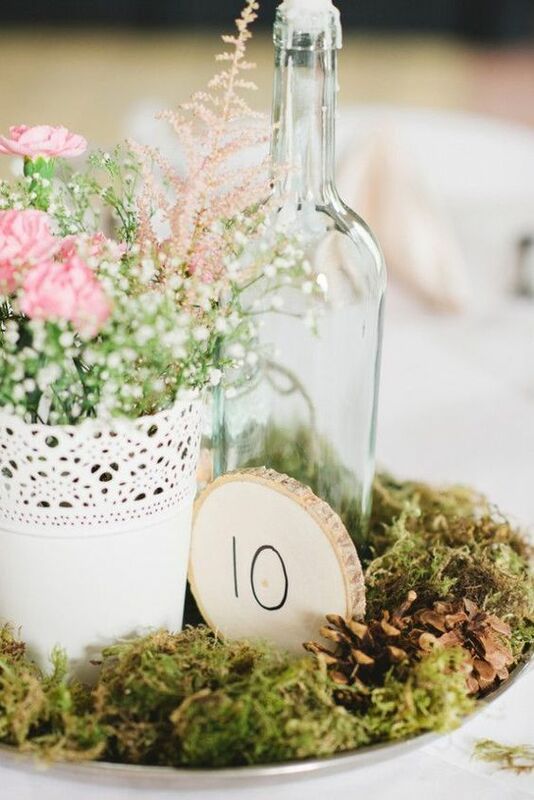 So many lovely ideas my favourite has to be the rustic terrarium wedding centrepiece.